Become awakened to healthy, safe, and sustainable transport in 2007 with STOMP!! Start your STOMP Festival day off on the right pedal by hopping on board the STOMP Festival Bike-Train. This year, the Cultural STOMP is reclaiming some of the people’s roads: with a safe & environmentally friendly way to get to the festival. Join the colourfully decorated, mass bicycle ride as we make our way from Wallsend, picking you up along the way at several of the designated STOMP Festival Bike-Train stations or come out to our starting point for an extended fun bike ride. The STOMP Festival Bike-Train is a free ride and roadside/cyclewayside assistance will also be free during the ride. We will be “stopping at all stations” and going at a pace so anyone can keep up with us. Bring a safe bicycle and a helmet to participate. Although not compulsory, cyclist riding insurance cover can be got from Bicycle NSW. Ride Times: Wallsend Plaza 8am, Cameron St Jesmond Mall 8:20am, Rankin Drive Uni 8:30am, Waratah shopping centre 9am, Clyde St to Tighes Hill Tafe 9:20am, Hamilton Train Station 9:40am, Parry St, King St to Civic Park, 10am! Need a safe bicycle to join the STOMP Festival Bike-Train? The Newcastle Bike Ecology Centre is extending its “100 free bikes for students” program to include STOMP Festival Bike-Train participants. 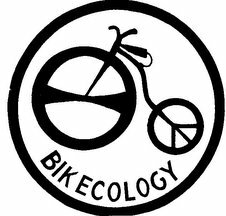 The Newcastle Bike Ecology Centre’s “Push bike co-op” takes pre-loved bikes & parts that are then restored by volunteers. This saves useful push-bikes from landfill and saves on the pollution caused from the production of new bicycles. If you want a bike, the Newcastle Bike Ecology Centre can help you recycle one, for free! If you want your STOMP Festival bicycle checked for safety, also for free, also drop into the Newcastle Bike Ecology Centre. Stop getting annoyed by cars & practice riding in a Festival like ride? Critical Mass, 1st Friday of Every Month, Civic Park, meet at 5:30pm, ride at 6pm. This is where lotsa FREE STOMP bike fun happens! Biketivism Films (World Naked Bike Ride and Bike activism). Screenings TBA. STOMP is the launching pad for the Newcastle Community Bike Library. Pick out a bike by leaving a deposit of $20, if you like your bike so much just keep it and it’s yours to keep. To take advantage of this offer, bring your bicycle helmet to the Festival even if you don’t bring your bike. Volunteers needed pre-festival to help fix these bikes. Starting from 10am when the STOMP Festival Bike-Train arrives, a continual all day group Festival bike ride will begin. Starting at the Bike Corral at the top of every hour, go in a group ride, being your opportunity and to ride in safety and style. Help bring life back to the car dominated streets of our fabulous city and visit some wonderful sites. Then come back to Civic Park for more Festival fun. Where each ride goes to, and the duration, will be up to participants: Leave your ride suggestion on the ride sheet at the Bike Corral or just vote at the start of each ride.